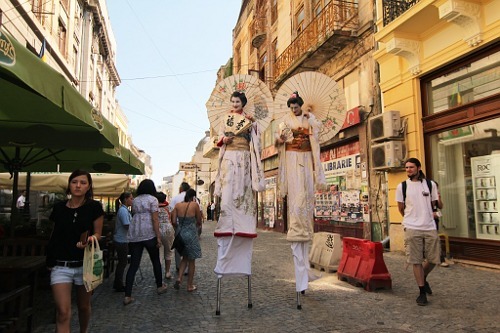 Home / bucharest / city / photo / photojournalism / Romania / street / Geishas on stilts – only in Bucharest! 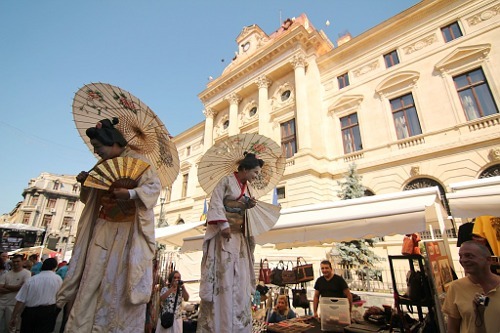 Geishas on stilts – only in Bucharest! This was an unexpected attraction for Bucharest Days: a couple of geishas walking around on stilts and entertaining the audience. Yeah, their list of words, expressions and jokes was limited, but they were quite enthusiastic. This work is licensed under a Creative Commons Attribution-Share Alike 3.0 License.